A section of the original copper, overhead transmission line that carried electricity from Hoover Dam (syn. Boulder Dam) to Los Angeles. 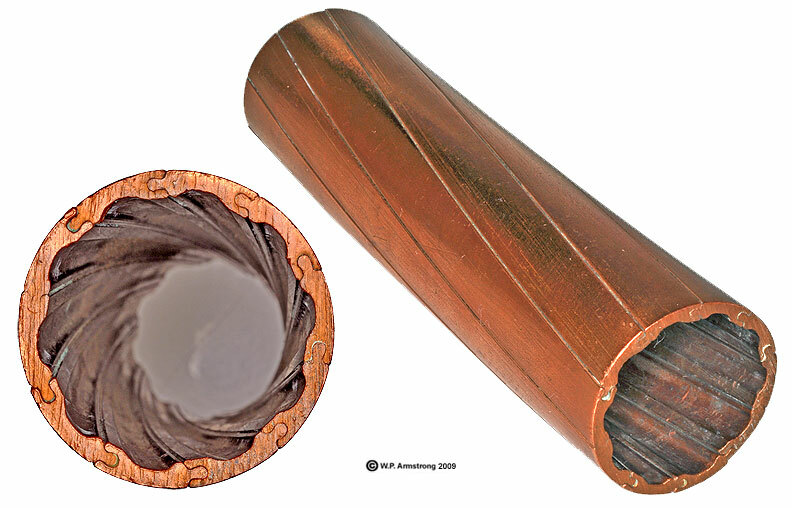 The high voltage cable is composed of ten segments to form a smooth copper tube 1.4 inches in diameter. Note the ingenious "tongue-and-groove" joints between the ten segments. This Type HH Hollow Conductor was made by General Cable during the early 1930s, and was designed to transmit 287,500 volts aross the Mojave Desert. The cable is hollow because most of the electricity flows through the outer surface (periphery). In addition, the hollow cable drastically reduced the weight burden on transmission towers.